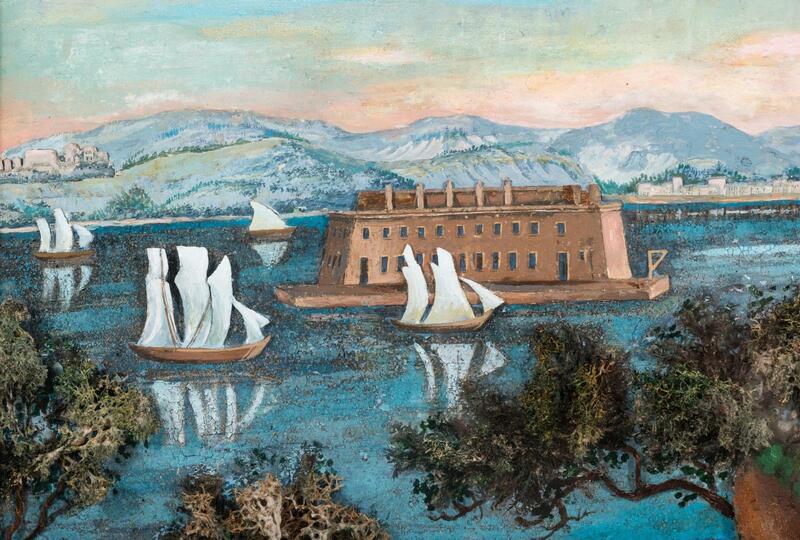 Folk Art Fort Hamilton, NY Diorama and Piscataqua Chromolithograph, 2 items total. 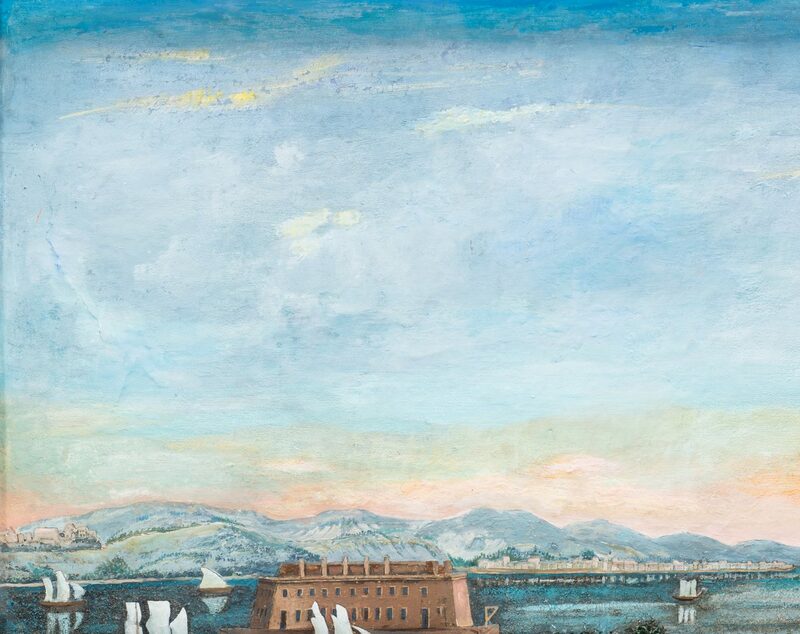 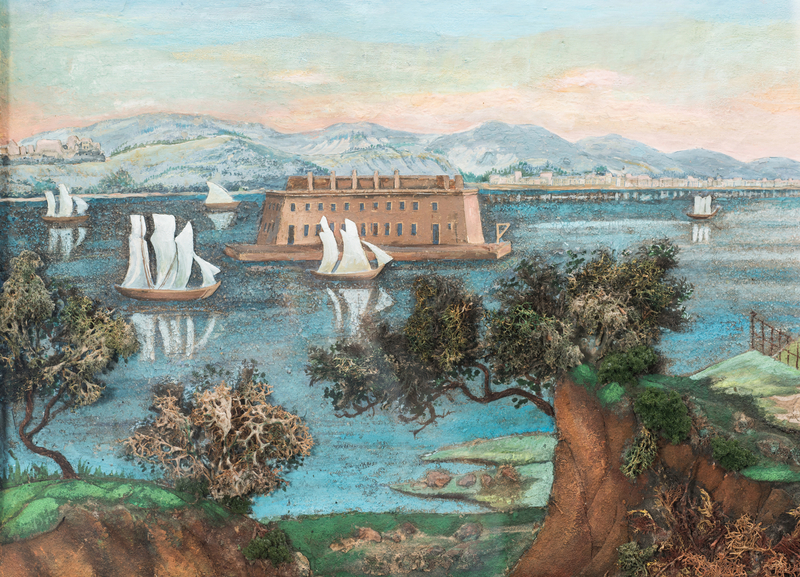 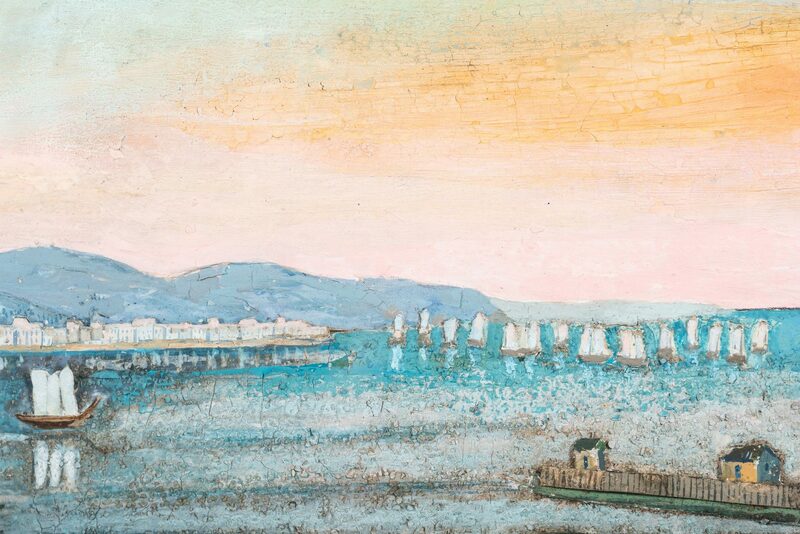 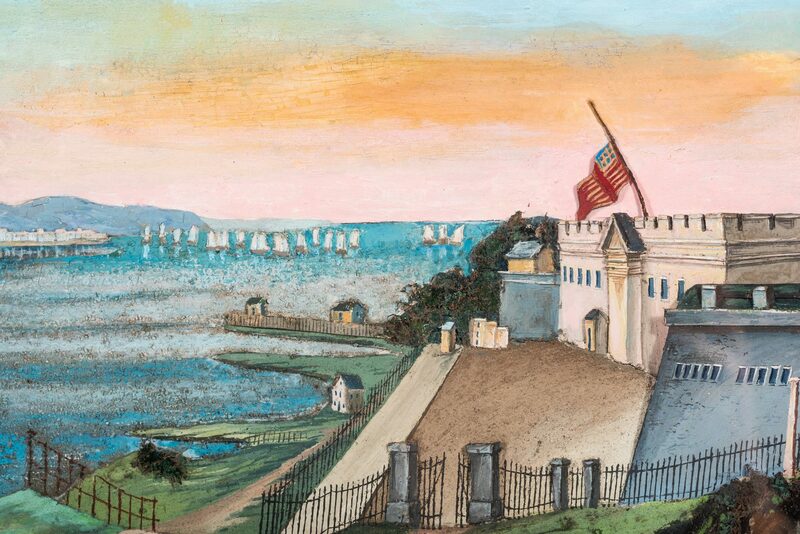 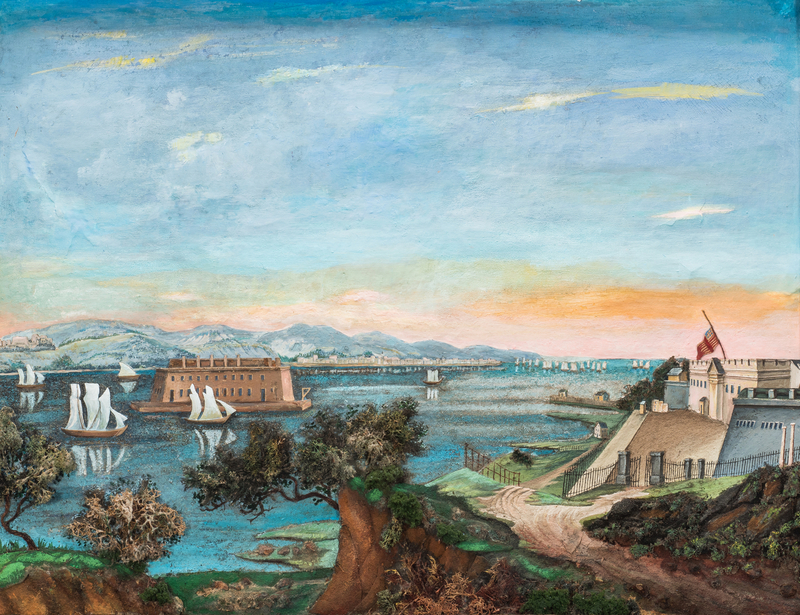 1st item: 19th century folk art diorama, comprised of paint, wood, ink, paper and other natural elements, depicting The Narrows as seen from Fort Hamilton, located on Long Island, New York. 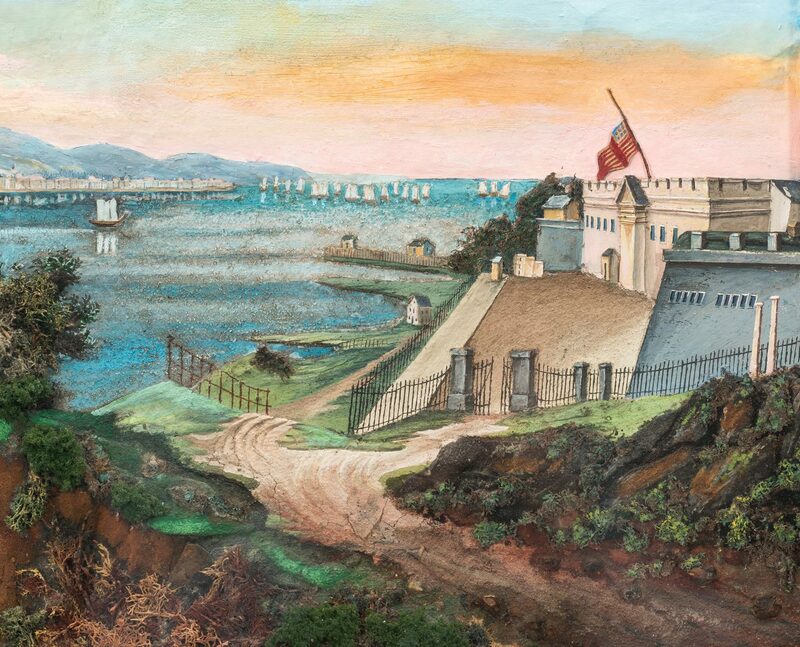 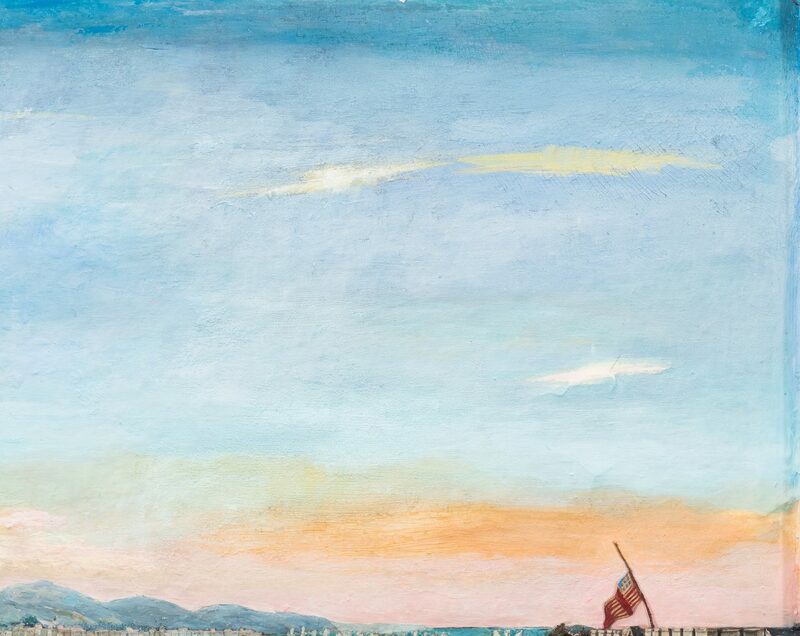 Likely modeled after the engraving titled "The Narrows from Fort Hamilton" (After William Henry Bartlett) by Robert Wallis (1794-1878) that was created in 1838. 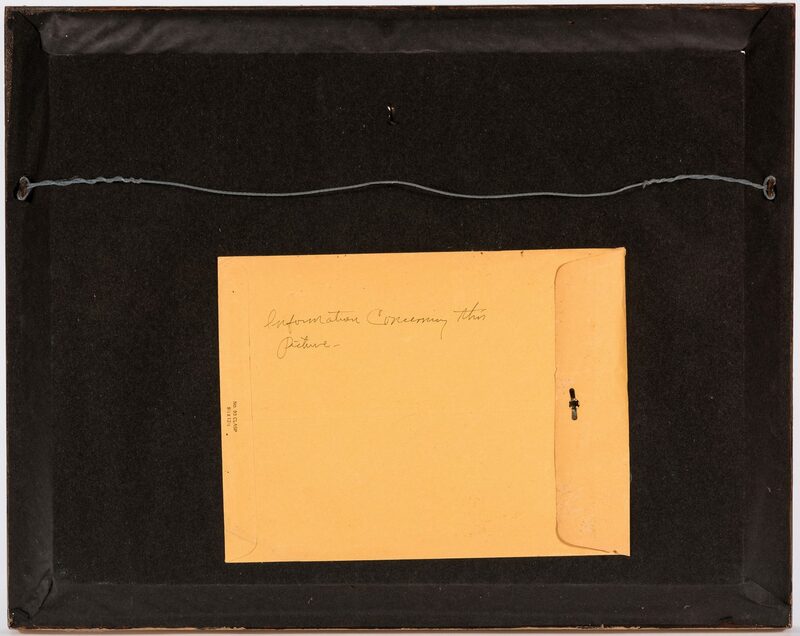 Housed in a gilt wood shadow box frame. 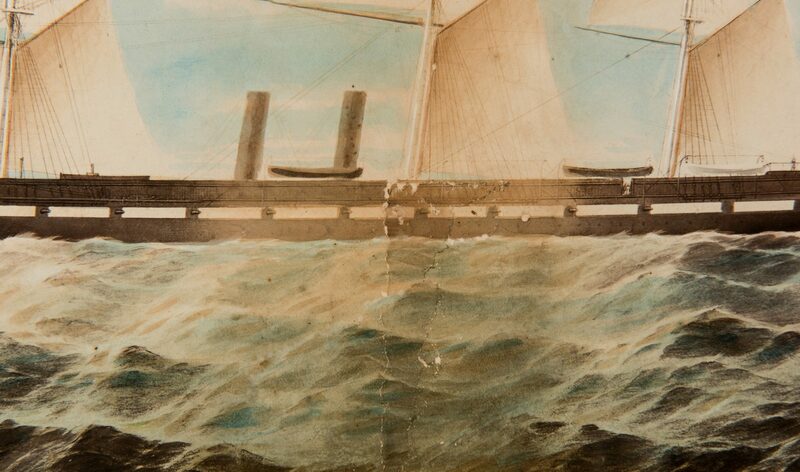 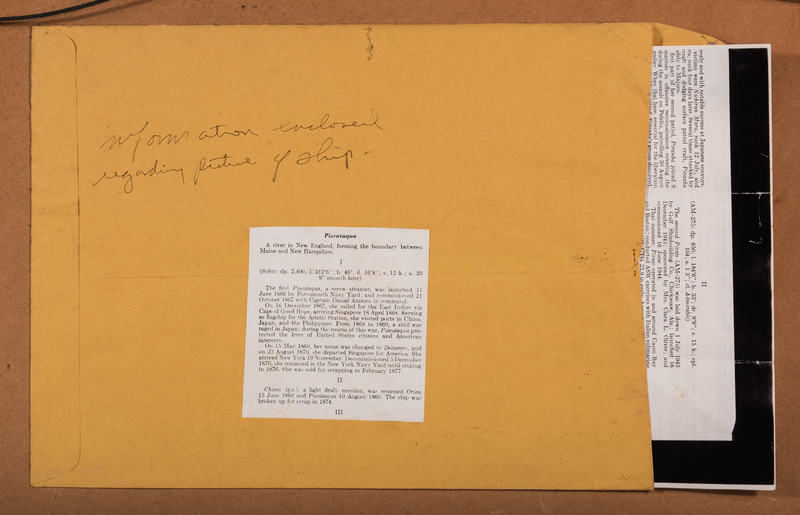 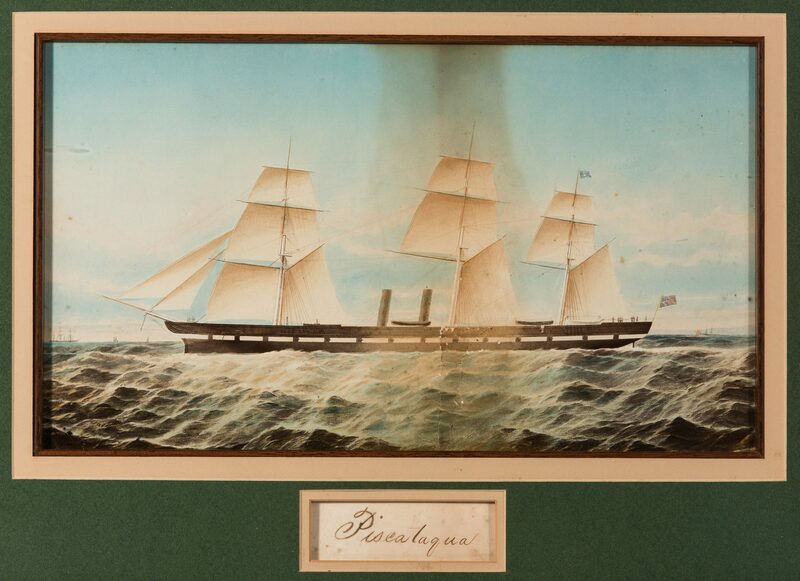 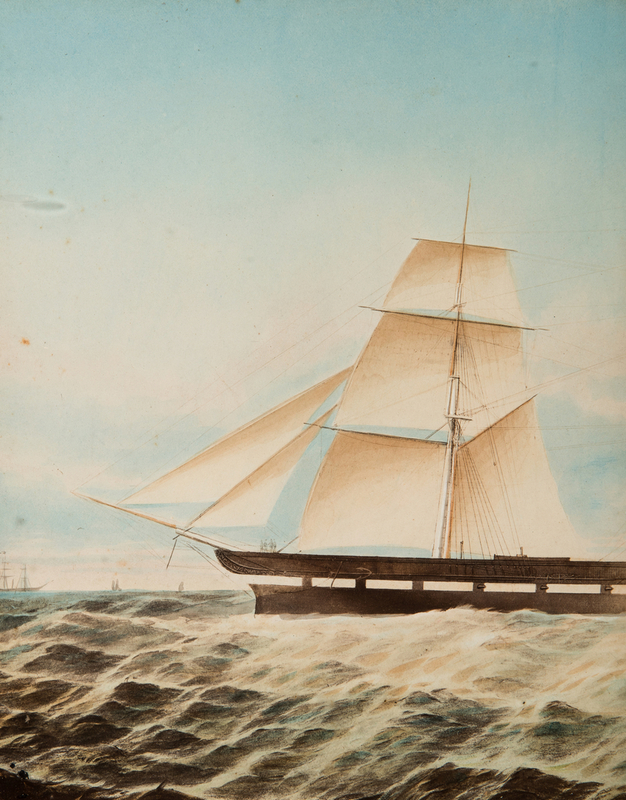 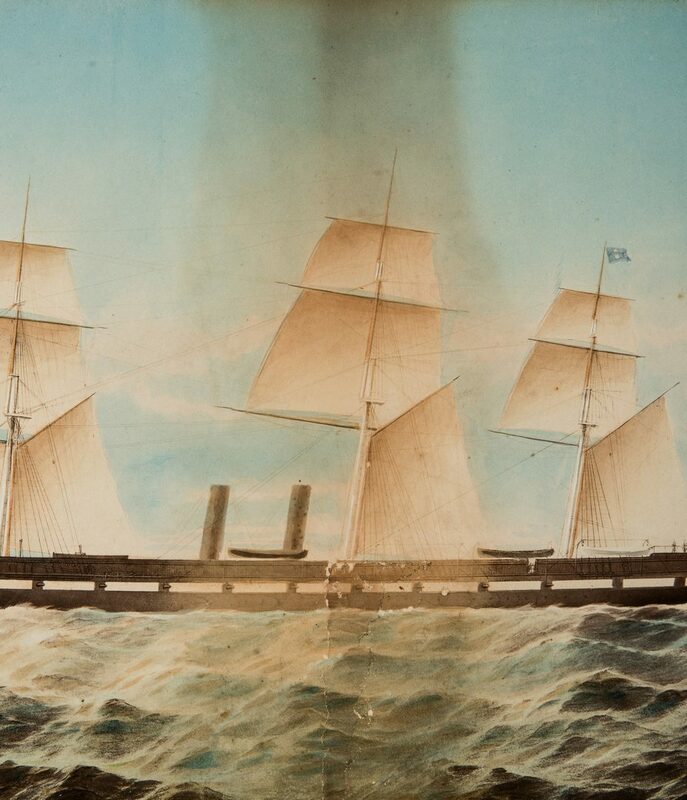 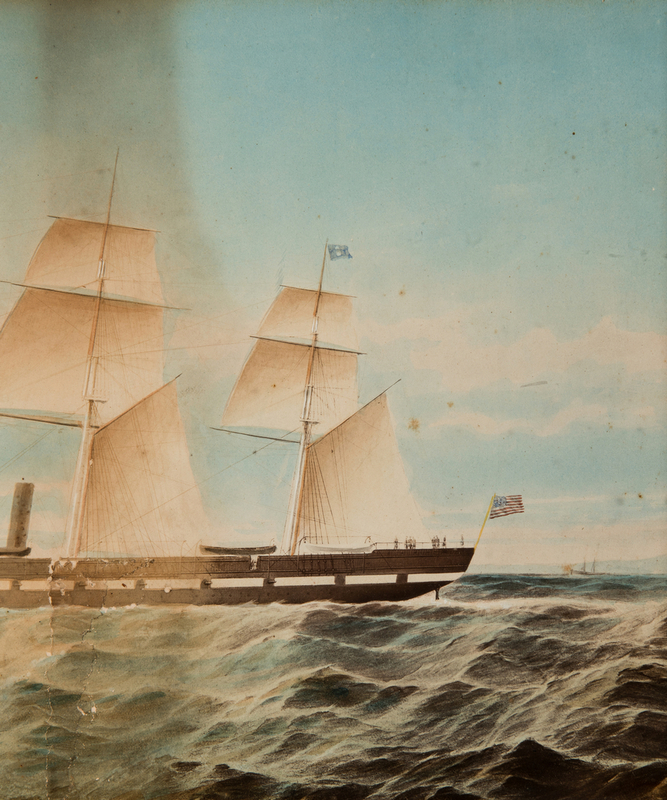 Overall – 19 5/8" H x 24 3/4" W. 2nd item: 19th century chromolithograph depicting the USS Piscataqua, a screw steamer commissioned in 1867; and renamed Delaware in 1869. Housed in a carved wood framed with ebonized and brown wood liner. 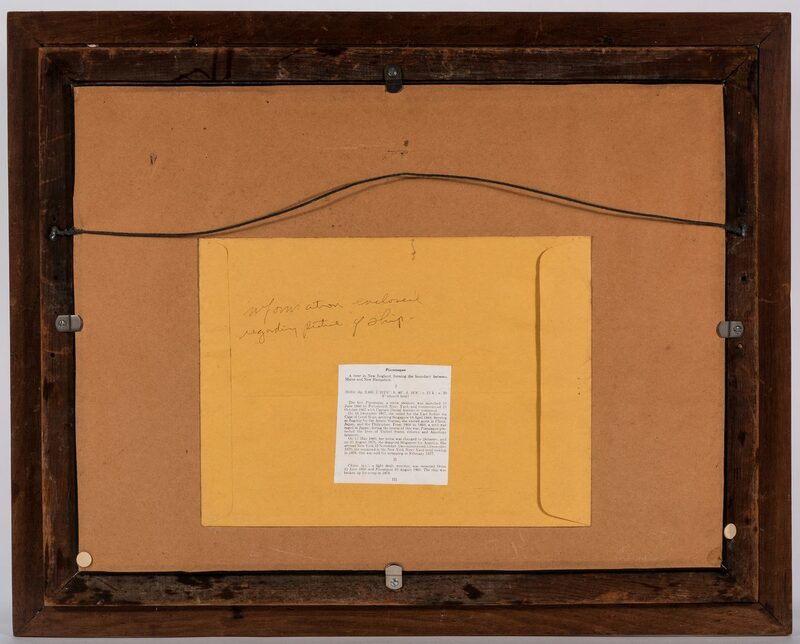 Sight – 8 5/8" H x 15 1/8" W. Framed – 19 1/2" H x 24 1/2" W. Provenance: Estate of internationally known ragtime pianist and historian Johnny Maddox, Gallatin, TN. 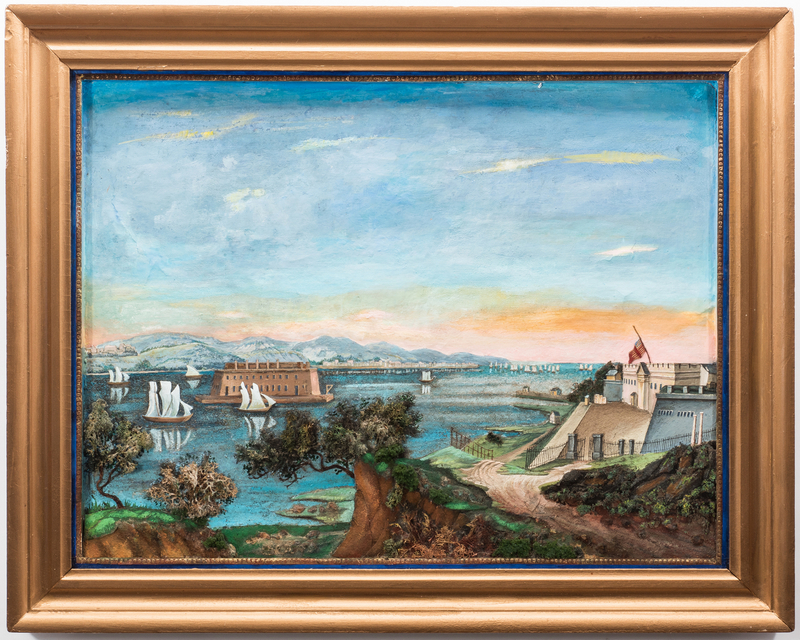 CONDITION: 1st item: Diorama overall good condition with a few minute losses to trees, some light craquelure to paint in sky area. 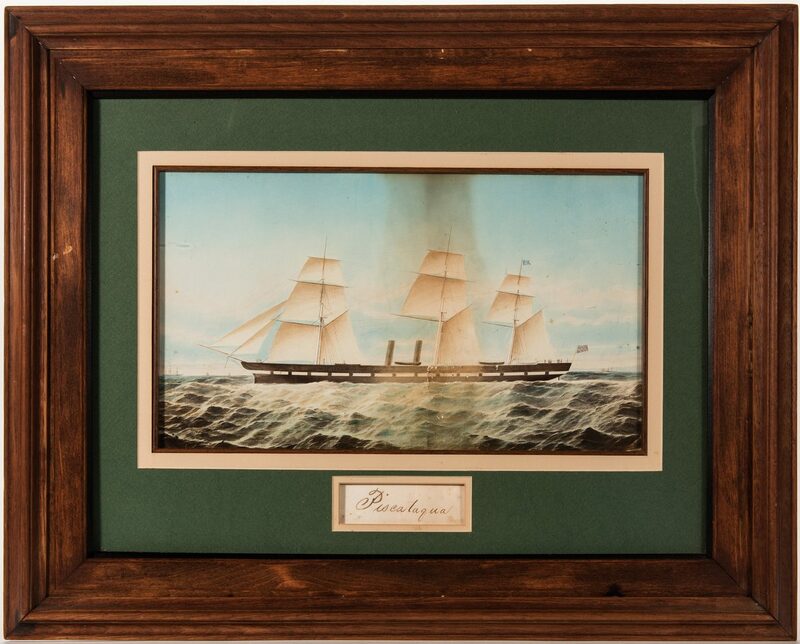 Framed with touch ups to gilt paint. 2nd item: Water damage and toning. 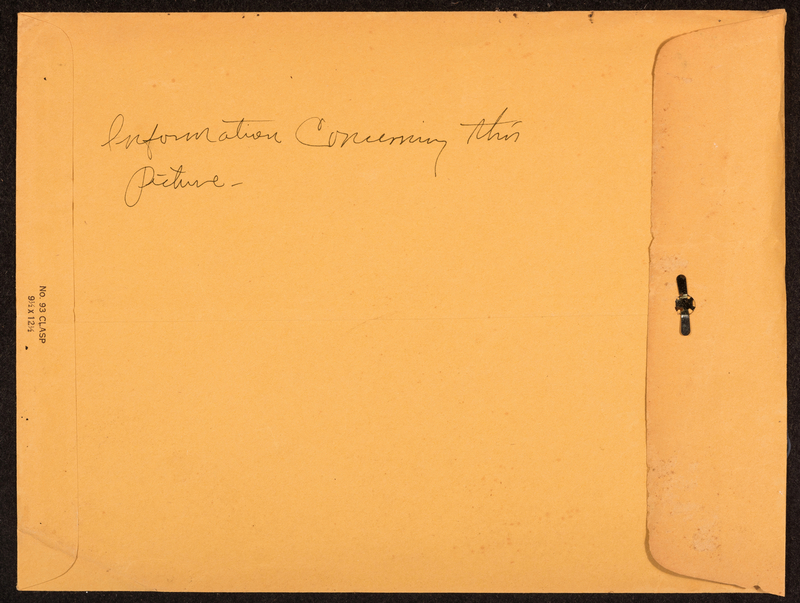 Some vertical creasing to board evident to the center.